Sibling rivalries are the best. They consist of irrational conflict, which is the best sort of conflict there is. 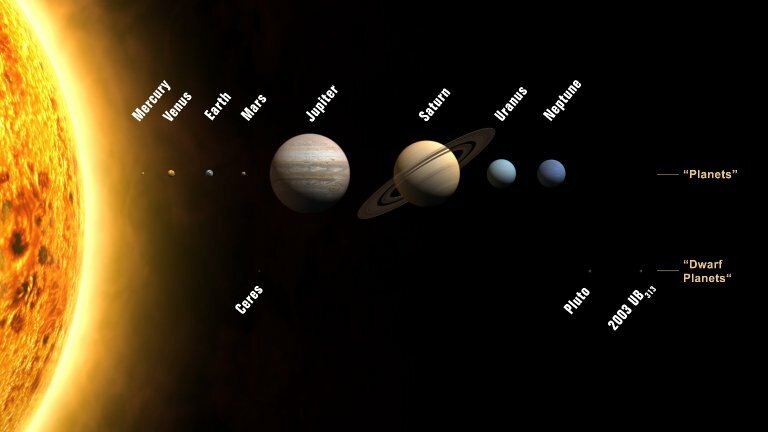 And the most enormous and irrational sibling rivalry is the rivalry among the eight planets in our solar system family. 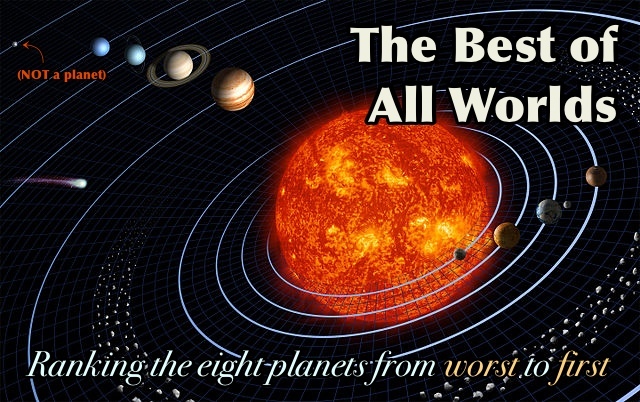 Which is the best planet, and which is the worst? There are a lot of delightful astronomy facts to consider, but I’ll do all the considering for you and tell you the correct answers. You will learn the truth, and I will have justified paying another year of rent for this blog’s domain name. That’s right: eight planets. Count ’em! Eight. Mercury, Venus, Earth, Mars, Jupiter, Saturn, Uranus, and Neptune. Everyone’s got a favourite. For some of you, your favourite is Pluto, and I’ve already offended you because I completely agree with the IAU that Pluto is not a planet. Well, tough beans. The fact is that we have to come up with some sort of definition for a planet. You can’t just say something is a planet just because it’s got the same name as your favourite Disney character. After all, our stellar neighbours have scads of planets of their own, so naturally we need to determine the standards for planethood. And if that means we kick a yelping Pluto to the curb, so be it. At some point, you gotta clean up the neighbourhood. Besides, if Pluto were a planet, it would be the worst planet. It’s a dinky ball that Clyde Tombaugh discovered by chance even though it’s smaller than our Moon. What we didn’t know until recently was that Pluto is just another pebble in the Kuiper Belt of pebbles lying beyond the orbit of Neptune. And it’s not even the largest pebble. So it’s a dwarf planet now, and your grandkids are going to laugh at you for thinking anything different. But enough about Pluto. Let’s get down to the real planets. You’re probably dying to know what the best planet is, right? Well, I’m going to string you along for a while, David Letterman style, by counting down the eight planets from worst to first. In the meantime, in honour of the recent American election, vote on which planet is the best and which is the worst! Your vote will have about as much influence on the outcome of my analysis as it did on the outcome of the Presidential election, but that didn’t stop you then, did it?